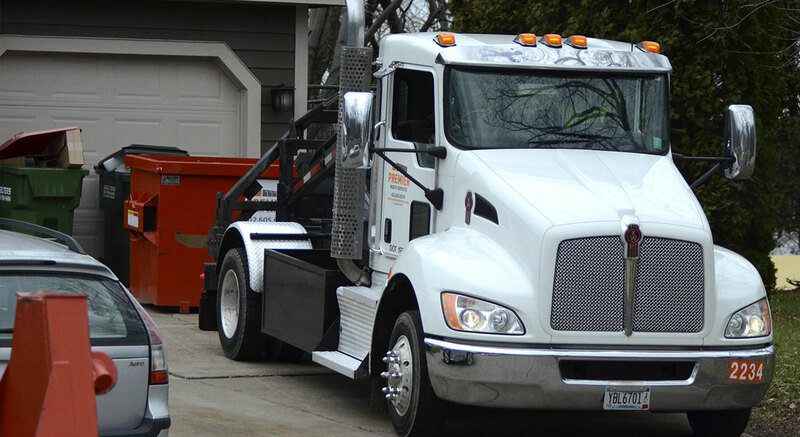 Renting a dumpster for a home remodeling project, new construction or home cleanout is an easy process, but if it's something you've never done before, you may have some questions about how to go about getting the right container at the right price. 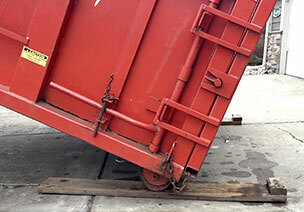 We'll go through several of the most commonly asked questions when it comes to renting a dumpster. What size dumpster do I need for my roof? A 10 yard will hold approximately 30 squares of single layer roofing tear off, a 20 yard will hold approximately 60 square of single layer roofing tear off. For more information please see Dumpster Rental Sizes page. What do you do to prevent damage to my driveway or sidewalk? It is standard operating procedure for us to place protective boards down underneath the rear rollers of the dumpster and the front. Even with this precaution, in extreme heat the weight of a full dumpster can sink into hot pavement. While we do our best to prevent any damage from occurring, we cannot guarantee that any won’t occur. This is why we require a signed Damage Waiver from either the homeowner or contractor before we will place a dumpster in a driveway. Can I place some household trash in my construction dumpster? If you choose to mix MMSW with your C&D materials, then the box has to be priced and taxed as a MMSW dumpster. There are State Solid Waste Management Taxes on all boxes and additional significant County taxes on MMSW dumpsters. Additionally, the disposal fees for a MMSW box are higher than a C&D dumpster. What items are not allowed in any dumpster? Any type of yard waste/branches/stumps, etc. What items are allowed if I have ordered a construction/demolition/remodeling dumpster? Metal – copper, iron, steel, etc. What items are allowed if I have ordered a mixed-load or MSW dumpster?